Industrial wind development on forested ridges creates a suite of ecological problems that outweigh the benefits of a renewable energy source. Since many birds and bats use our ridges as migratory pathways, tall towers with spinning blades cause almost certain mortality. In addition, large clearings for turbines and an extensive network of roads through forests create forest fragmentation, which is also a negative impact on forest birds and bats. For these reasons, as well as many more, the Juniata Valley Audubon Society opposes industrial wind development on forested ridges. Specifically, if the first of two wind turbine applications proposed by Atlantic Wind, LLC are approved, up to 37 industrial wind turbines would be constructed, impacting three forested mountains in the Wild Creek Watershed: Stony, Pohopoco, and Call Mountains. These turbines, with their associated turbine pads and wide road clearings, will cause extensive forest fragmentation resulting in up to 292 acres of cleared forest. If the second application is approved, the project will contain 28 turbines in linear rows impacting Pohopoco and Call Mountains, with up to 203 acres of forest being cleared. We know that roads and clearings through forests invite invasive plant species, more avian predators, and more ATVs. None of these are beneficial to forests and their inhabitants. Wild Creek Watershed produces some of the cleanest water in the nation and is designated by the Pennsylvania Department of Environmental Protection as an Exceptional Value Watershed. It is the undeveloped forest that makes this water so clean. Additionally, this water sustains thousands of people and businesses in the Bethlehem area. Not only do the extensive tracts of forests provide clean water, they also provide homes and sustenance to a number of birds that are species of special concern in Pennsylvania: the Osprey, Broad-winged Hawk, Whip-poor-will, Brown Creeper, Wood Thrush, and Golden-winged Warbler breed in the Wild Creek Watershed. Birds that depend on vast forested acreage are also found in this watershed. In addition to the Wood Thrush, Pennsylvania has a global responsibility to provide large areas of unfragmented forest for the Scarlet Tanager since more than 19% of the population breeds in Pennsylvania. The Wild Creek Watershed is located in the Appalachian Raptor Migration Corridor and partly within the Kittatinny-Shawangunk National Migration Corridor. 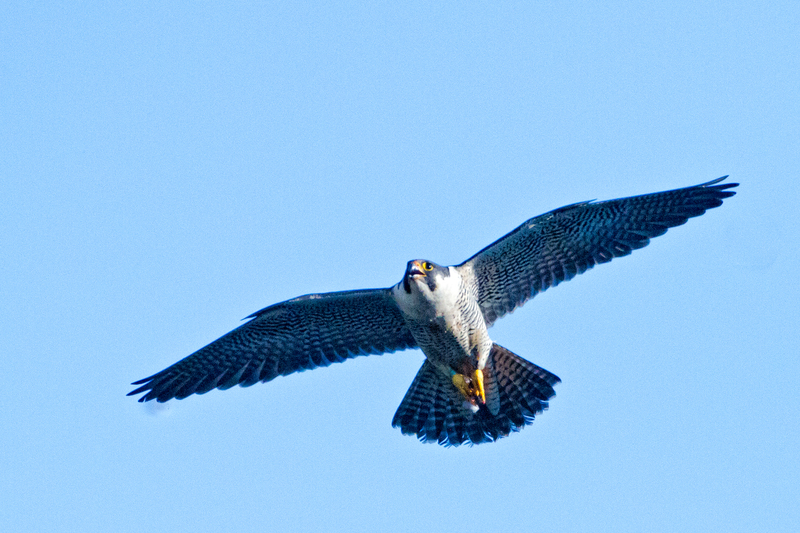 Raptors use the watershed as stopover sites during migration. The forests found in the Wild Creek Watershed are some of the most rare and unique habitats in the world. The habitat areas are called Yellow Run Barrens, Pitch Pine Barrens, Hell Creek Barrens, and Pine Run Woods. The term, "barrens," is often misleading as people think it is an area bare of trees and other vegetation. These barrens are actually lush with vegetation, but the trees are stunted and don't grow as tall as in other forests. Yellow Run Barrens contains a scrub oak-heath-pitch pine natural community that is unique in Pennsylvania and should be maintained through prescribed fire. Pitch Pine Barrens is also unique and rare in the state. Hell Creek Barrens contains a Pennsylvania endangered and globally rare plant species of concern, while Pine Run Woods is a maple, oak forest and scrub oak Shrubland Natural Community. In 2005, when The Nature Conservancy completed a Natural Areas Inventory of Carbon County [PDF], they noted that no threats or disturbances were present in the Wild Creek Watershed because the Bethlehem Authority protected almost the entire watershed. Continued protection will not only serve to protect these important municipal water supplies into the future, but also provide critical open space and wildlife habitat. It will serve to benefit the bird species of special concern [Osprey] and, perhaps, attract additional nesting pairs to the lake. The plant species of concern would be harmed by a loss of overstory and reduction in water quality at this site. Sadly, in 2013, the Bethlehem Authority leased thousands of acres in the Wild Creek Watershed to Atlantic Wind, LLC. If the project is built, most of the watershed will become an industrial zone for energy production. Juniata Valley Audubon Society supports properly sited wind projects, but an industrial wind project in the Wild Creek Watershed is clearly inappropriate. We urge the Bethlehem Authority to focus on the generation of clean water and the protection of special habitats and species by protecting the forest. The first rule of ecology is that everything is connected to everything else. Whatever we do to natural habitats— good or bad, big or small—ripples through the economy. Simply stated, the loss of open space costs more than we know. Losing natural resources, like trees and good water quality, is a significant strategic choice. Natural systems provide a form of insurance or risk management. They work 24 hours a day, 365 days a year, and have been doing so for the last 10,000 years, free of charge. After weeks of waiting for the right weather, my husband Bruce, always the designated driver, a new young birder in our area, Michael David, and I headed down to Sinking Valley to do our annual Winter Raptor Survey. It was a perfect day—fifteen degrees, still, and blue-skied. We had a slow start, but finally Michael and I started seeing white spots sitting in trees. They all turned out to be red-tailed hawks. Sometimes we thought they might be something else and Bruce set up our scope. Nope! Only red-tails. This went on for most of the morning. Since Michael was working on his county list, we noted other birds too. Robins eating staghorn sumac fruit. Twenty-six horned larks in the fields along Crawford Road so close we could almost touch them. A great blue heron sitting under a tree near the stream at the Arch Spring homestead. A pileated woodpecker clinging to a sapling near the road. Ah! But I’ve saved the best for the last. After counting 26 red-tails and not even seeing a kestrel, we drove beneath what might be a kestrel. “Stop!” I yelled to Bruce and found I had made the same mistake as last year at the same place. A flock of mourning doves took off. Then Michael started studying a flock of what he thought were starlings, but they turned out to be brown-headed cowbirds. “I think I see a rusty,” he said and was out the car and down the road to study the flock more carefully. After all, my sons Steve and Mark had spotted a rusty blackbird in a flock of cowbirds during Christmas Bird Count, perhaps in this very same place. I followed Michael at a slower pace and stood waiting for him to decide if he had found a rusty. Just as he had concluded that whatever he had seen had flown, I glanced idly across the barren, snow-covered field at a huge old tree standing by itself and saw two spots of white. I looked through my binoculars, expecting to see more red-tails and instead saw a pair of mature bald eagles, one sitting on the branch directly above the other. Finally, raptors to get excited about! Michael wondered if they were a pair and perhaps nesting in the area. After all, this is the time of year when they begin building a nest. I certainly hope folks living in Sinking Valley keep an eye on this pair. To cap the day, just after we saw the great blue heron, a golden eagle flew low over our car. Perhaps it was the same eagle Bruce and I had seen fly low over us while we walked on our Far Field Road several days ago. Altogether, it was one of the more exciting Winter Raptor Surveys we have done over the years. The Winter Raptor Survey is a state-wide citizen science program coordinated by JVAS member Greg Grove with the Pennsylvania Society for Ornithology. See their website for information on how to take part.